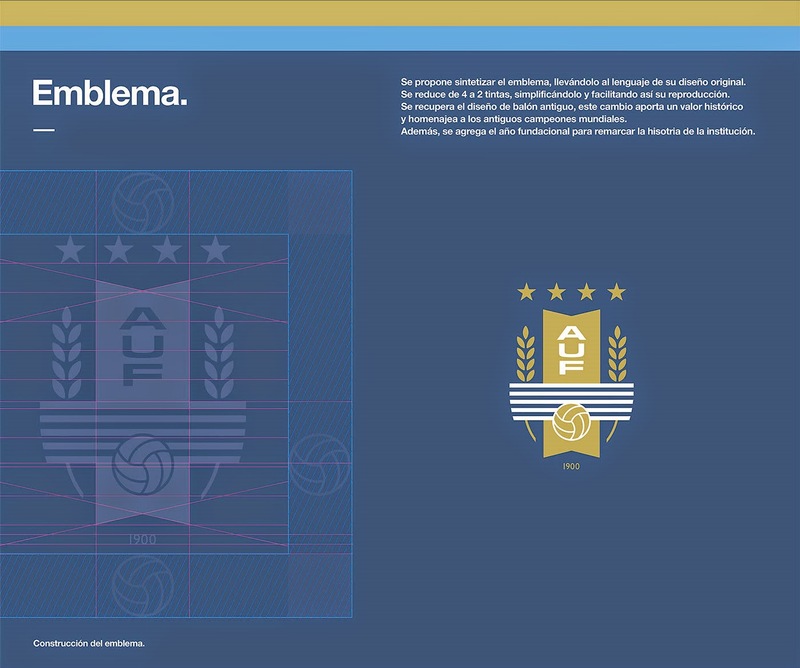 This week on Concepts we take a look at the work of Uruguayan designer Pablo Cánepa who has taken upon himself the project of redesigning the identity of his national side. 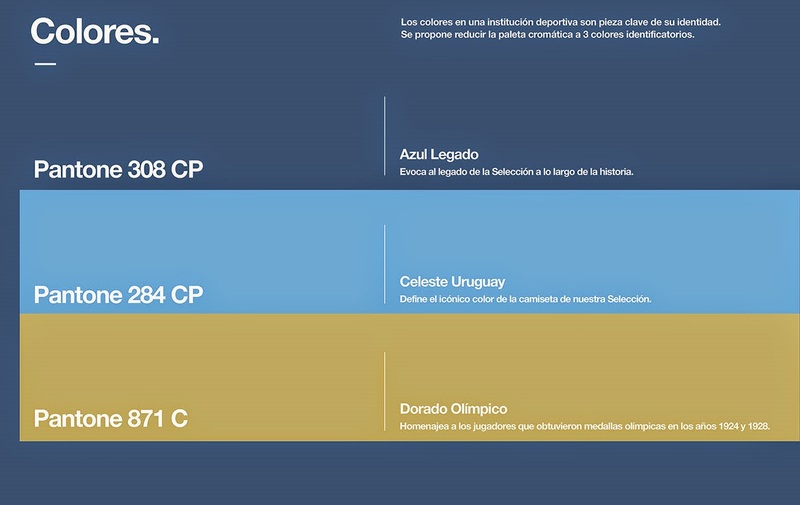 "La Celeste" as they are known domestically are the very first World Cup champions and have been around since 1900 and 1923 as a part of FIFA. 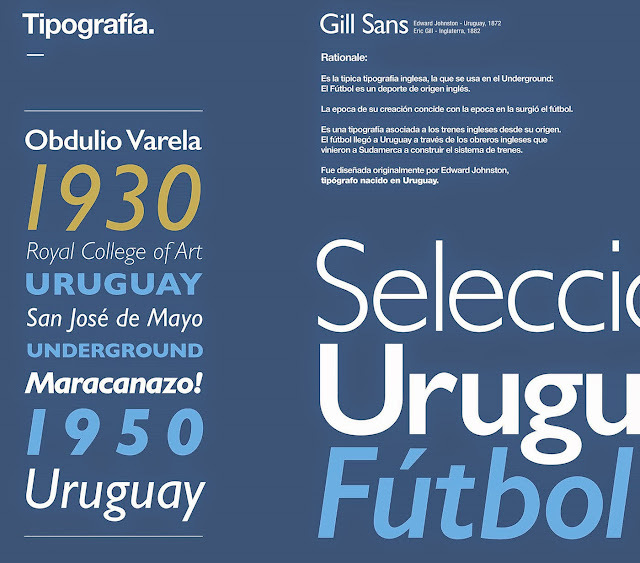 What I personally love about this design is the fact that Pablo did not try to "reinvent the wheel" so to speak. Essentially keeping the original symbols intact, the designer basically has modernized and tightened up the look without throwing away the traditional look. 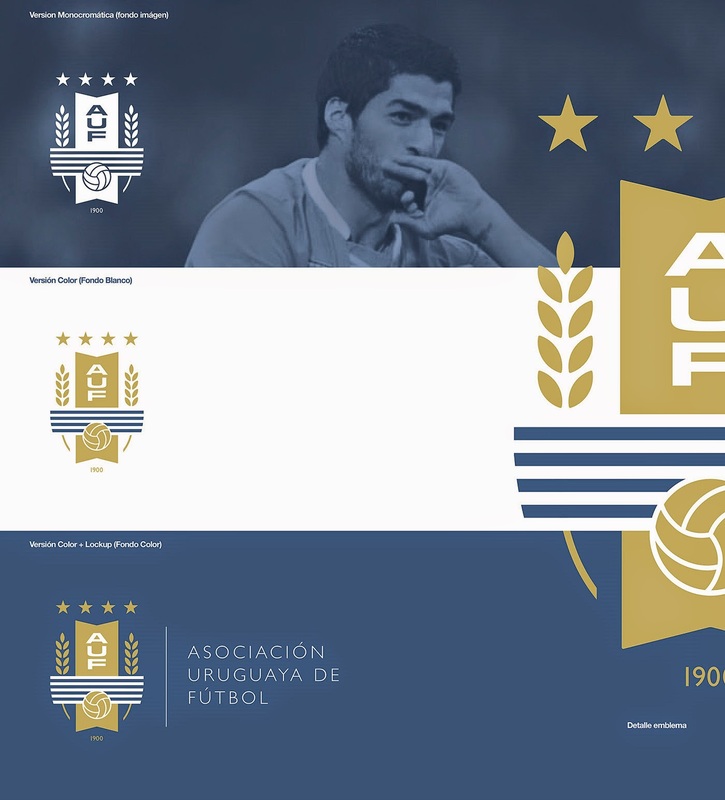 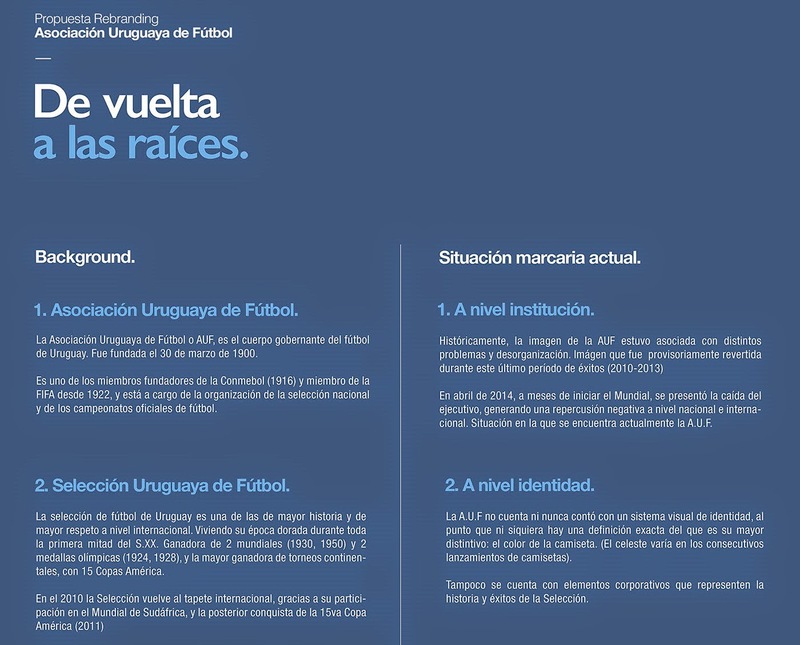 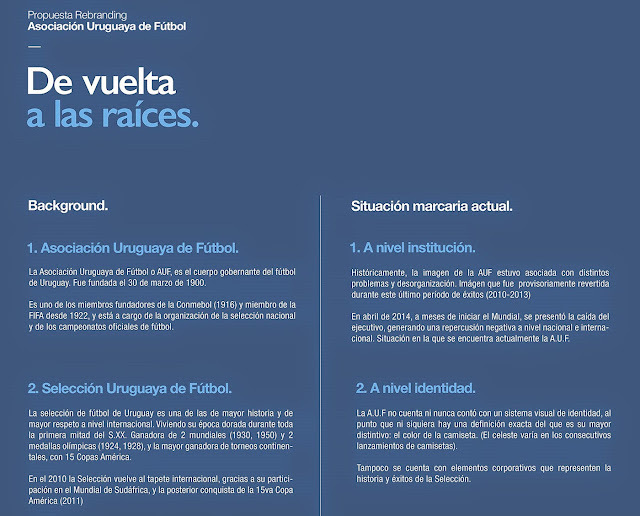 With Uruguay currently using 4 colors in its crest Pablo decided to minimize that aspect of the design and instead going with the predominant gold with a touch of white. 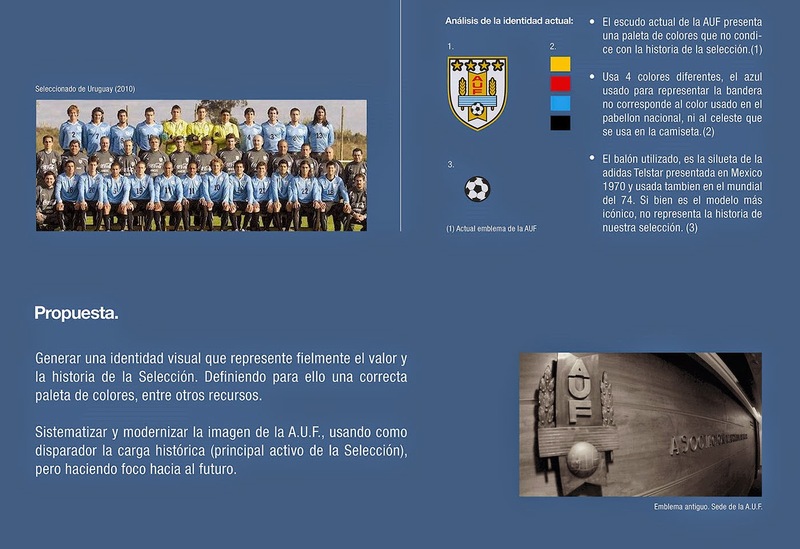 I apologize in advance as I was unable to translate all the Spanish language explanations, but I believe that visually the project is pretty self explanatory.